The cypress is a very large tree that is highly resistant to flooding, has a very long lifespan and is responsible for the creation of cypress swamps that play huge roles in the prevention of floods in surrounding areas and also for the removal of wastewater. 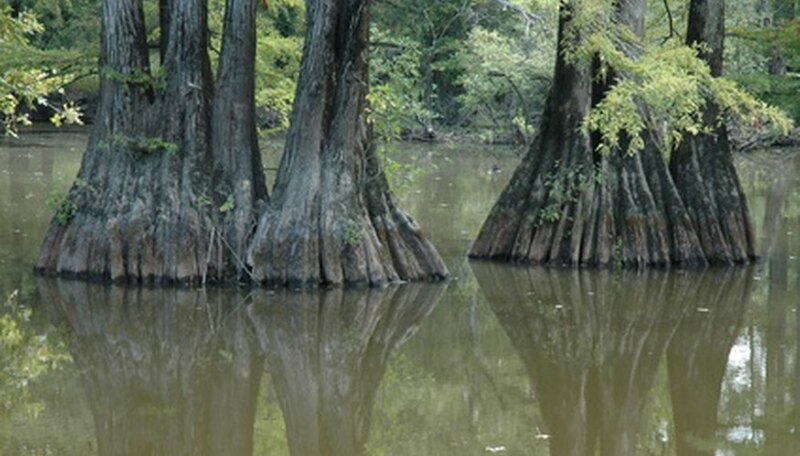 The cypress trees are also known for knees, which are parts of the roots of the cypress that emerge from the water and often take unusual shapes. Logging in the first half of the 20th century destroyed almost all of the cypresses; the wood was known for its hardiness. The cypress is famous for its longevity, with cypress trees being able to live as long as 100 years. The cypress is the largest tree in North American East of the Rockies. Cypress trees are also found in China, Japan, Formosa, Tasmania and North America. The bald cypress can grow to 150 feet tall and 6 feet in diameter. The leaves of this cypress tree are flat, and are one-fourth to three-fourths inches long. The pond cypress is smaller and has awl-shaped or scale-like leaves. The cypress develops knees that have the ability to protrude above the surface of the soil. The cypress trees were once considered a great source of timber and the cypress swamp was seen as an excellent place to drain water for land development. Now, cypress swamps are understood as being important parts of the ecosystem, where many rare and endangered animals exist. They are also considered important parts of recreation at swamps. The cypress plays an important role in waste-water recycling and is also a buffer for flooding. The cypress tree is the most flood-resistant tree in Florida. These trees are very sturdy and they are highly resistant to forest fires. .
What Are the Characteristics of a Cypress Tree?